A river otter is drawing local attention after making his home in San Francisco’s Sutro Baths for the past few months, a river otter research group spokeswoman said. 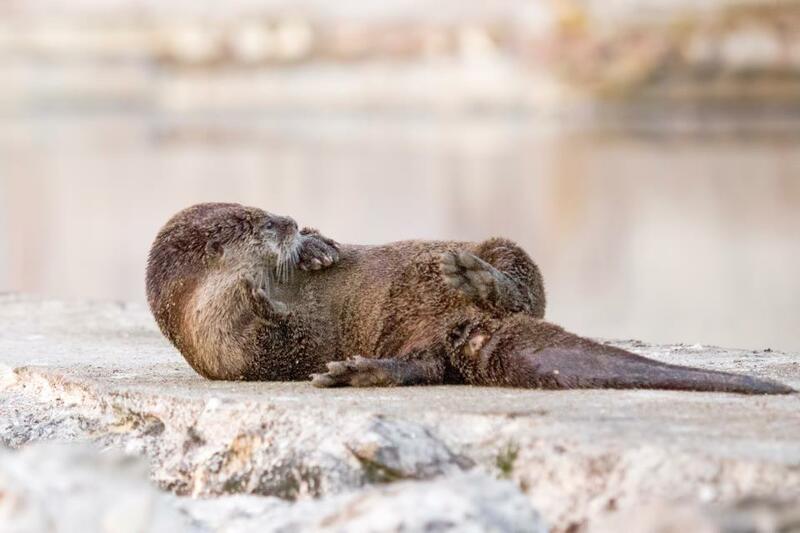 The Marin County-based River Otter Ecology Project has been tracking river otters’ whereabouts throughout the Bay Area for the past year, and about 10 weeks ago noticed a rare sight–a river otter in San Francisco, project co-founder and spokeswoman Megan Isadore said. Isadore said the river otter, nicknamed “Sutro Sam” after settling in at the baths near Lands End in the Golden Gate National Recreation Area, is the only known river otter in San Francisco and the first one spotted in city in decades. The River Otter Ecology Project formed last February, and since then has received more than 450 online reports of sightings of river otters from all over the region–mostly in the North Bay, but also in the unlikely areas of Richmond, Alameda, Fremont and Fairfield. Sutro Sam, who is male and appears to be at least 1 year old, has made his home in a large pool at the ruins of the bathhouse at the edge of the Pacific Ocean, where he “seems quite comfortable,” Isadore said. River otters can be found in fresh, salt or brackish water, which is a mix of fresh and salt water, she explained. Sutro Sam is often seen swimming in the large pool, where he has been eating carp and goldfish. River otters’ regular diet consists of fish and crustaceans, Isadore said. The creature has been attracting a growing group of admirers, Isadore said. Paul Judge, who is originally from the Outer Richmond District and volunteers once a week at the Lands End Lookout visitor center, has been spotting Sutro Sam since last fall. He said that from the visitor center windows, it is easy to spot the otter, who often stays on the margins of the pool on the eastern side. “It’s astonishing that the critter is staying there,” he said. After months of observing Sutro Sam swimming and eating fish he appears to dredge from the muddy bottom of the pool, Judge said Sutro Sam does not seem averse to humans. Judge said river otters are curious animals and are often feisty. The river otter is likely to stay put if he has enough food and fresh water, but his hormones may push him to find a female mate at some point, Isadore said. “He looks healthy,” she said. Isadore said river otters are adaptable creatures that often live alone but are also found in groups. Sutro Sam’s origins are unknown, but Isadore said it is likely he swam across the Golden Gate from Marin County. It is also possible that he came from somewhere south of San Francisco, a region the group is working to monitor more. River otters can traverse land for up to 25 miles between watersheds, she said. For humans coming to visit Sutro Sam, whom Isadore called “a great little ambassador for healthy watersheds,” she advised not feeding him, keeping dogs on-leash and not approaching the animal, as he will bite if threatened. “He is a wild animal,” she said. The ecology group is working with the National Park Service, which has put up signs to let visitors know about the river otter’s presence, she said.